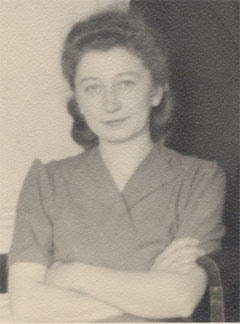 Miep Gies died today. She was 100 years old. She is the last of the group of Anne Frank protectors. She dedicated her post-Holocaust life to being an ambassador for Anne's diary as she was the one who collected and kept them safe. She also spent her time campaigning against Holocaust deniers. When I think of Miep, I am reminded that we are such a complacent society. How many of us would really step out of our safety zone to help another, especially if it were illegal and the consequences severe? We seem to be willing to send our money, but are we willing to house a family? Hide a family? Sneak food to a hiding family? Would we be willing to physically get involved to ensure someone elses safety? Sometimes I feel that not enough credit is given to those people in our world--then and now--who literally risk everything to protect others, Hashem's creation, His people. I can only hope and pray that if I am ever faced with a situation that requires such amazing courage, I am able to step up to the plate. Goodbye, Miep Gies, may your memory be a blessing and a reminder.